Let’s have a quick look at the specs and features of Apple’s and Samsung’s latest flagship devices. The post will spill the beans on the most-talked battle: iPhone X vs Galaxy S8. iPhone X was launched as a special edition model on Apple’s 10th anniversary, while Samsung Galaxy S8 was unveiled in the first half of 2017. In the iPhone X vs Galaxy S8 battle, it’ll be interesting to see which smartphone lags behind in spite of having the best features. Before placing a safe bet on a new smartphone, we usually check and compare the camera specs of different models of different companies. Earlier, it was a childplay for Galaxy S8 to beat Nokia 8 in the camera test. Samsung Galaxy S8 has a 12 MP sensor with optical image stabilization and f/1.7 aperture, while iPhone X bears a dual rear camera setup of 12MP embedded in a vertical manner. Its wide-angle sensor of f/1.8 aperture and the second sensor of f/2.4 aperture includes the telephoto lens. The best part about iPhone X is that its both sensors support optical image stabilization. The Galaxy S8, despite having a primary lens, captures more light as compared to iPhone X’s wide-angle sensor. 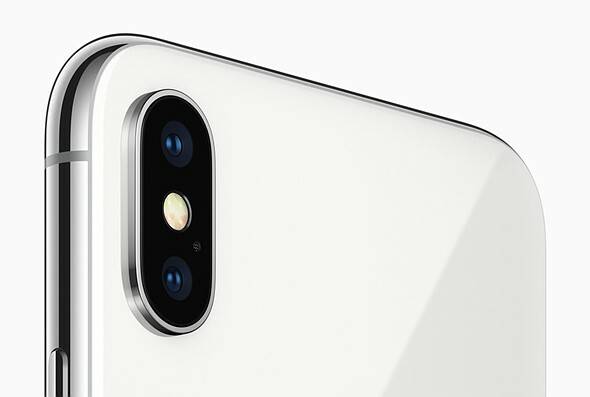 But yes, the inclusion of new features such as telephoto lens and portrait mode in iPhone X will improve your picture taking experience. Samsung Galaxy S8 showcases a glass and metal sandwich design, and both its rear and front sides are covered with glass. For protecting the gadget from scratches, the phone features Corning Gorilla Glass 5. Being IP68 certified, it remains safe even after going 1.5 meters deep in water and remaining there for half an hour. Its aspect ratio is 18:5:9. Samsung has dual covered the spectacular Edge-to-Edge display of Galaxy S8 from edges. Whereas iPhone X’s surgical grade steel body is more durable and promising than that of aluminium body of S8. As per Apple, this premium smartphone bears the toughest glass introduced by any smartphone company ever.The aspect ratio of iPhone X is 19:9. Unlike Samsung, Apple has not covered its dual display from edges. The fingerprint scanner of Samsung Galaxy S8 is located on the back side adjacent to the single camera sensor. But here is a drawback: the weird positioning of the scanner at the back may sometimes confuse the user between choosing the sensor and scanner. However, Apple has deleted the concept of the fingerprint scanner and has introduced Face ID instead for security and payment purposes. Samsung Galaxy S8 sports a 5.8-inches AMOLED display along with QuadHD+ resolution of 1440 x 2960 pixels. Its pixel density is 570 pixels per inch and its screen brightness is beyond 1000 nits. With the 5.8-inch display and a screen resolution of 1125 x 2437 pixel, iPhone X for the first time has used OLED displays (there are rumors that these displays are manufactured by their rival Samsung). The screen brightness of 625 nits is evidently lower than Galaxy S8. The presence of more pixel density and screen brightness allows Galaxy S8 to give a better picture quality than iPhone X.
Samsung Galaxy S8 runs on its Exynos 8895 chipset that was created on the 10nm FinFet process. The variant released in the US sports an Octa-core Snapdragon 835 by Qualcomm. The RAM is 4GB and the internal storage capacity is 64GB which is expandable using a microSD card. 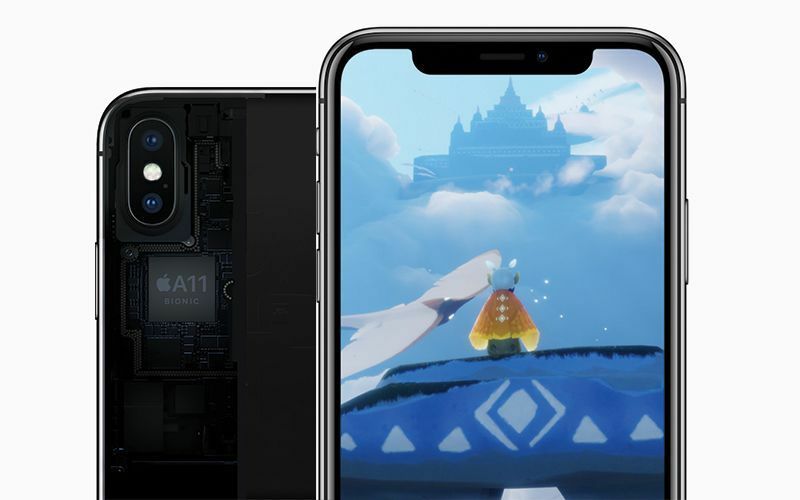 Let’s talk about the more powerful and more efficient Hexa core A11 Bionic chipset of iPhone X. The four cores are designed for handling normal tasks and the other two cores effectively control big tasks. It supports 3GB RAM and the device comes in two variants: 64GB and 256GB without any option of further expandability in memory. For smoothly using multiple apps at the same time, Samsung Galaxy S8 should be preferred. However, if you are more towards handling routine tasks with precision, you can rely on iPhone X.
Android fans will get Android Nougat 7.1.1 in Galaxy S8, while Apple fanatics will enjoy the exclusive privileges of iOS 11. The ecosystem support in iPhone X notifies users about the fresh updates. However, in case of Samsung’s Galaxy S8, you may have to patiently wait for updates, may be for a few months. Samsung Galaxy S8 is powered by a 3,000mAh battery and flaunts Qi standard and PMA. When it comes to considering Apple’s battery life, there are not more details disclosed by the company. The device supports Qi standard solely. However, the company claims that it will last 2 hours more than the last gen’s iPhone 7. And yes, both devices support wireless charging facility. While the dimensions of Galaxy S8 are 148.9 x 68.1 x 8.0mm, iPhone X measures 143.6 x 70.9 x 7.7mm. The former is a little lighter and weighs 155g. However, the latter is at a bulkier side weighing 178g. As it’s been 6 months since Galaxy S8’s launch, one can grab its unlocked version at £689. iPhone X that will hit the markets on 3 November costs you $999. In the iPhone X vs Galaxy S8 battle, the former has a little edge over the latter due to its powerful chipset and innovative camera features. But let’s admit that the price will remain one of the deciding factors in the end. This made easy on decision making. Thanks for the amazing post.